Our Martial Arts program is designed for people from entry to even advanced trainer. For those who are looking to raise your personal performance as a combat athlete or simply lose fat and build muscle. Strength & Conditioning is your ideal workout. For those members who want to take their overall competitive skills to the next level, we do offer an exclusive Fighters Program for our members of an elite caliber. Our Kids' program is coming soon. Our Kids’ program is designed to encourage these beneficial aspects to give your child the chance to unlock their integrity, confidence, and sense of teamwork. 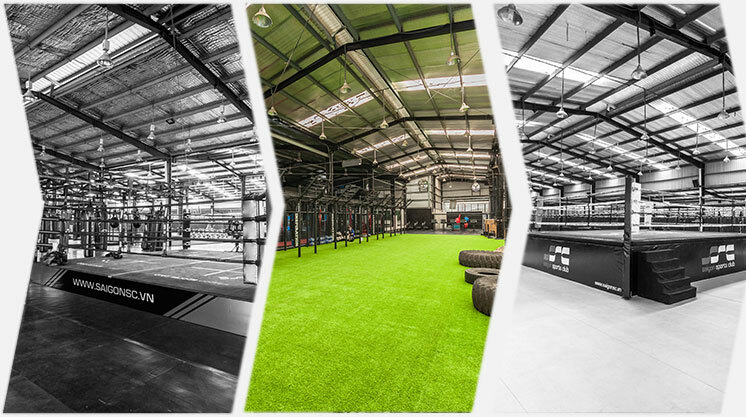 Whenever you are choosing a martial arts training facility, one of the most important considerations is the quality and comprehensive nature of the facilities. 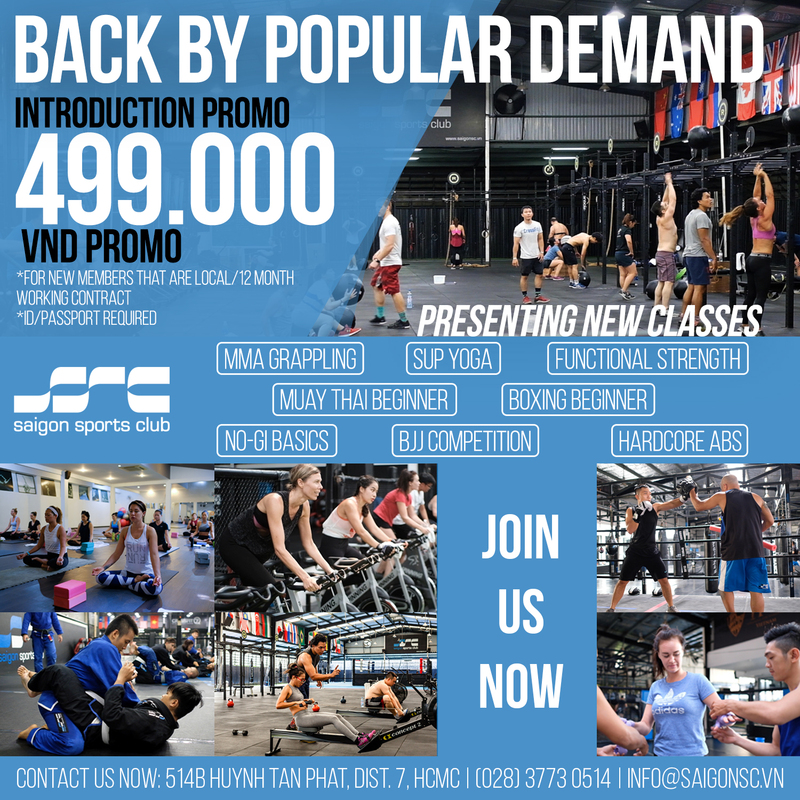 Saigon Sports Club is fully equipped with top-of-the-line equipment to help you rapidly achieve your fitness goals, increase or explore martial arts knowledge, and boost overall fitness for all experience and skill levels. I'm Thuan, I lost 6 Kg with TFW & Boxing. The training is intimidating but after all the pain is gone, that really worth it. Hi there, I'm Hurley, I lost 13 lbs with Boxing in 1 month. I am now feeling confident and fresh everyday. Hi guys, on this Sunday, October 7th, 2018, we are going to show the main event of UFC between Conor Mcgregor vs Khabib Nurmagomedov. Come and join us in this event for a little special from our sandwich bar: "buy 1 half-sized sandwich - get 1 free beer/coke | buy 1 full-sized sandwich - get 1 free drink and fries." #SSC #tigermuaythai ------------------------ Gửi Quý Hội Viên, vào ngày Chủ Nhật này, ngày 07 tháng 10 năm 2018, #SSC sẽ livestream trận đấu nảy lửa giữa Conor Mcgregor và Khabib Nurmagomedov. Hãy đến và thưởng thức ưu đãi chỉ riêng ngày hôm đó từ quầy sandwich mới mở của chúng tôi: "Mua nửa ổ sandwich, nhận 1 bia/coca miễn phí | mua full ổ sandwich, nhận 1 nước bất kỳ và khoai tây chiên." Hi guys, we are going to live stream the fight of our #SSCFighter #EvTing going on at 5:30 PM on October 6, 2018, for those who are interested in MMA. Come and join us in this event for a little special from our sandwich bar: "buy 1 half-sized sandwich - get 1 free beer/coke | buy 1 full-sized sandwich - get 1 free drink and fries." #SSC #tigermuaythai ------------------------ Gửi quý Hội Viên, vào 5:30 chiều ngày 6 tháng 10 năm 2018, chúng tôi sẽ livestream event Kindom of Heroes của ONEFC trong đó sẽ có một trận đấu cực kỳ gay cấn của võ sĩ #SSC #EvTing. Ngoài ra, quầy sandwich có chương trình ưu đãi cho các bạn theo dõi trận đấu: "Mua nửa ổ sandwich, nhận 1 bia/coca miễn phí | mua full ổ sandwich, nhận 1 nước bất kỳ và khoai tây chiên." In order to support our beloved members with more Spinning time as well as having our Wrestling program back. 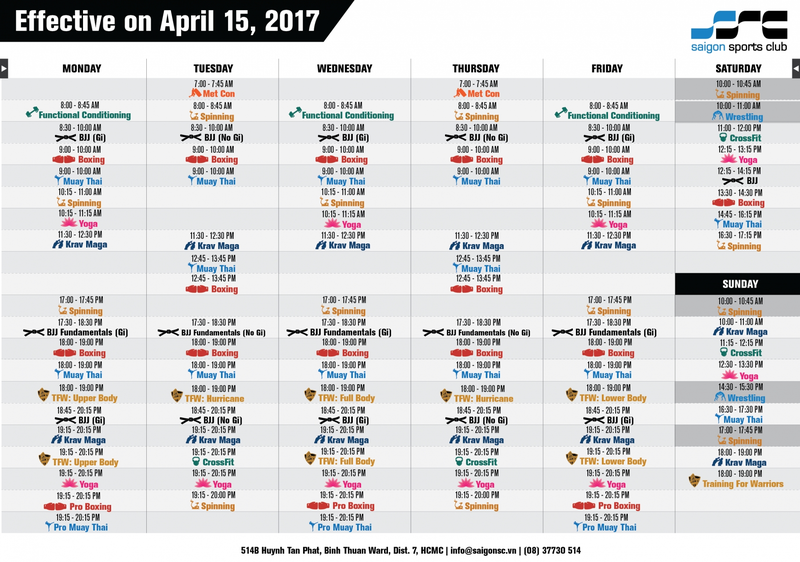 Starting April 15, we will add spinning and wrestling class into our weekends schedule. 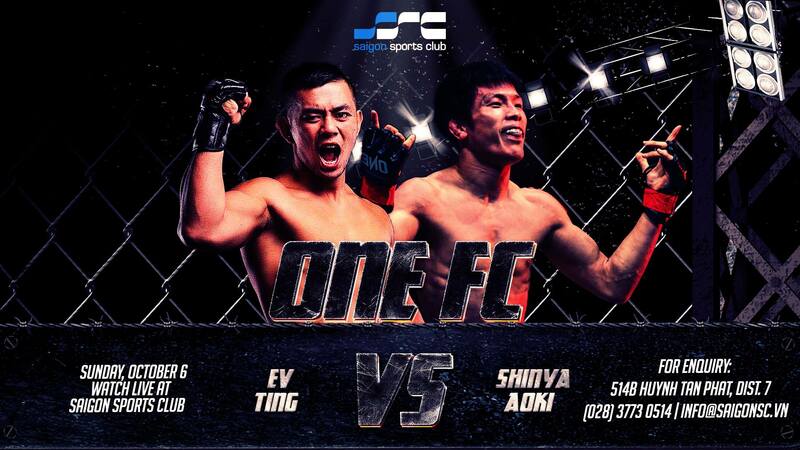 This February 10, Ev Ting, our beloved #MMA fighter will be in action in #OneChampionship #ThroneOfTigers against Shalorus.